Capture the essence of elegance, romance and passion with this stunning box of 150 classic red roses carefully put together with effort and detail one by one to create a smooth dome shape. 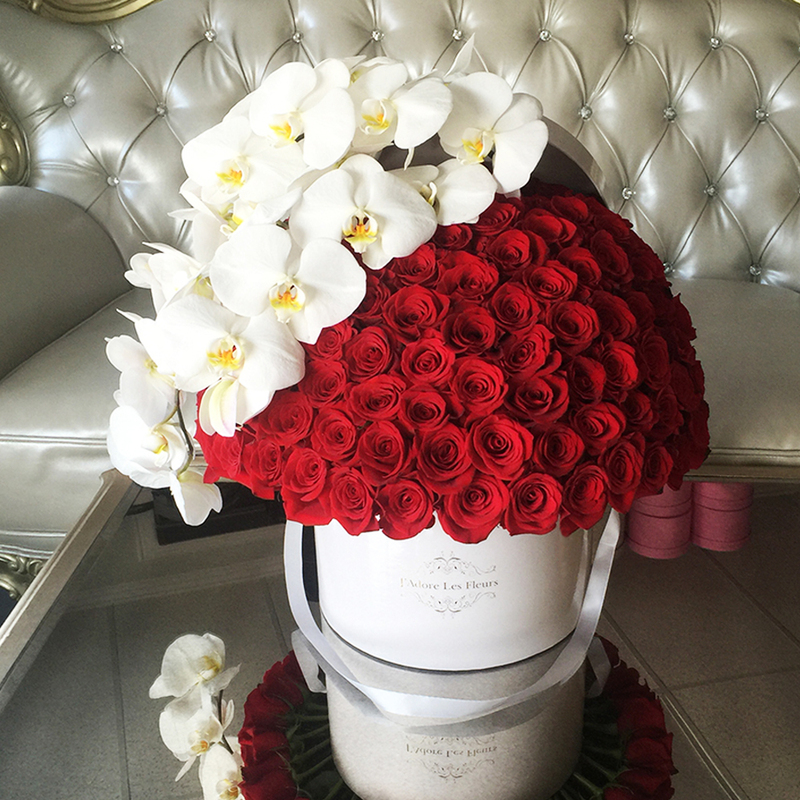 Exotic cascading orchids are laid on top of the roses to give the arrangement an even more lush feel. The arrangement in the photo is in our large size box.